Download a very simple to do list for Excel or PDF. One of the best motivators and strategies for getting things done and accomplishing your goals is to write them down and check them off as you go. You can break your larger tasks down into smaller to-dos so they don't seem as daunting. 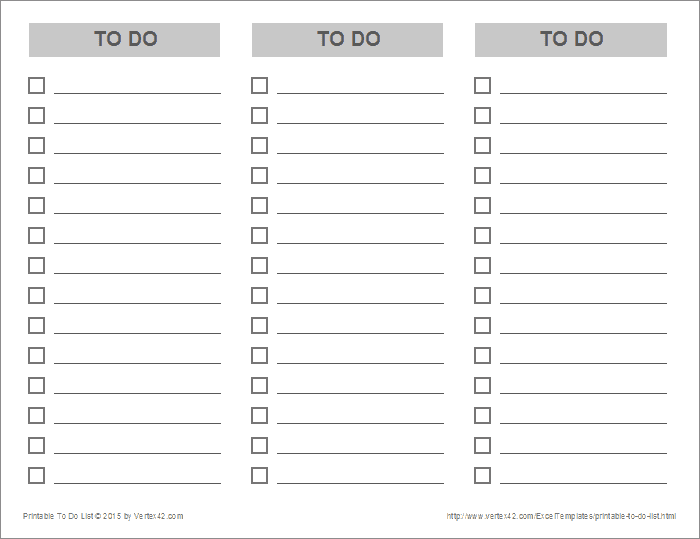 This Printable To Do List template offers a clean and simple way to list your tasks. We recommend putting the list in plain view like your fridge or next to your office computer so it can act as a helpful reminder. 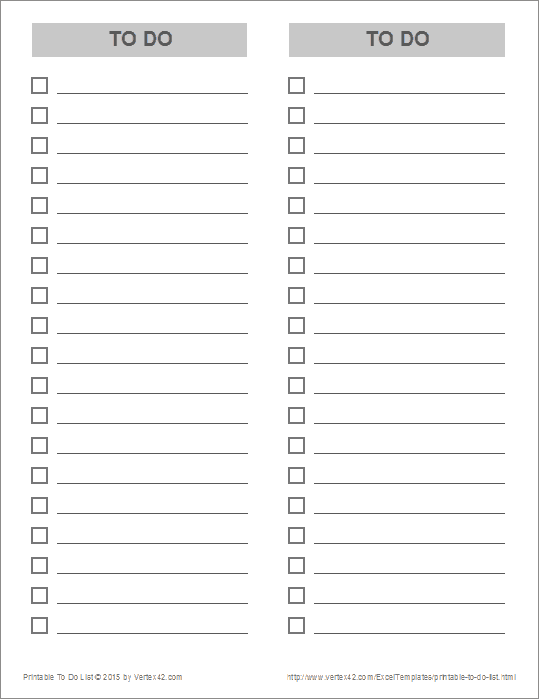 This basic check list is available in a 2-column portrait orientation or 3-column landscape orientation. 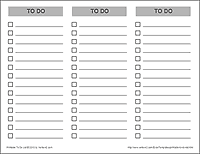 Use the links below to download the to do list as a PDF file. This spreadsheet contains two simple designs for a printable to do list, each on a separate worksheet. The first is a 2-column design in portrait orientation, and the second is a 3-column design in landscape orientation. Print as many copies of the list as you need. You can fold or cut the paper to create a stack of to do lists ready to use each day. Note: This spreadsheet is theme-enabled, so you can easily change the color if gray is too boring.